Overnight Parking Enforcement Resumes TONIGHT! Just a reminder that Overnight Parking Enforcement resumes tonight. Annual permits can be purchased at City Hall and temporary permits are always available online, or at the kiosk to the front of the police station. 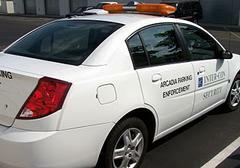 There is no street parking without a permit between 2:30-5:30 a.m. in the City of Arcadia.